On December 1, 1935, the City of Youngstown mourned the death of George Jacob Renner, Junior, one of their most beloved and wealthiest residents. He had come to this steel manufacturing city 50 years earlier and established a brewery for the enjoyment of its thousands of thirsty mill workers. Starting as a one man operation, Mr. Renner was able to develop a $600,000 corporation on the banks of the Mahoning River which provided high alcohol content beers at low prices. His life story started 79 years earlier in the City of Cincinnati where his father operated a brewery and taught young George the trade. George grew to six feet, three inches, had broad shoulders and developed a remarkable physique. He was strong enough to lift a barrel of beer into a wagon unaided. While in his 20s, Mr. Renner took over the operations of breweries in Zanesville and Wooster that were losing money and made them profitable again. Before he was 30, he decided to start his own business and was considering going to Harrisburg, PA, to establish himself. But a tramp, whom he fondly called “an aristocratic train hiker,” told him of an existing small brewery which he would be able to buy in Youngstown, Ohio. In 1885, Mr. Renner purchased the brewery located on Pike Street between Market Street and Oak Hill Avenue and possessing natural spring water. He did most of the work himself, making the beer, selling it and delivering and collecting. His business grew rapidly and then in 1889, the boiler house blew up, destroying the entire plant. The banks loaned Mr. Renner the money necessary to rebuild a state of the art brewery. By 1890 the new plant was back in business with an annual capacity of 18,000 barrels. The plant's stables held as many as 52 horses for pulling delivery wagons throughout the city and county. The entire operation was incorporated in 1914 as the Renner Brewing Co., with capital stock of $200,000. George Renner became the vice-president of the new company, while his 32 year old son, Emil, became the president. 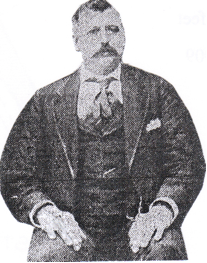 Secretary and treasurer was Gustave Weaver, while Harry Weaver, Renner's brother-in-law, continued as the brew master. George Renner was deeply interested in sports. He had a billiard room and a gymnasium installed in the brewery. He enjoyed horse racing and took especial pride in his brewery draft horses, which won prizes in many parades. Mr. Renner was a bowler on the company team and spent time playing cards at the Elks, Eagles, and the Youngstown Country Club. With the onset of Prohibition in 1919, the Renner Co. plant converted to the production of RENO non-alcoholic beer, ice, and other soft drinks, as well as managing the Renner Realty Co., originally established as a real estate holding company for the numerous saloons and other property owned by the brewery. Thanks to the extensive real estate holdings the Renner family business was able to survive Prohibition with the brewery operating again from 1932 until 1962. Today only the bottling building remains.